This is caused by 13 and 13.1 I think the screenshot can explain the problem. 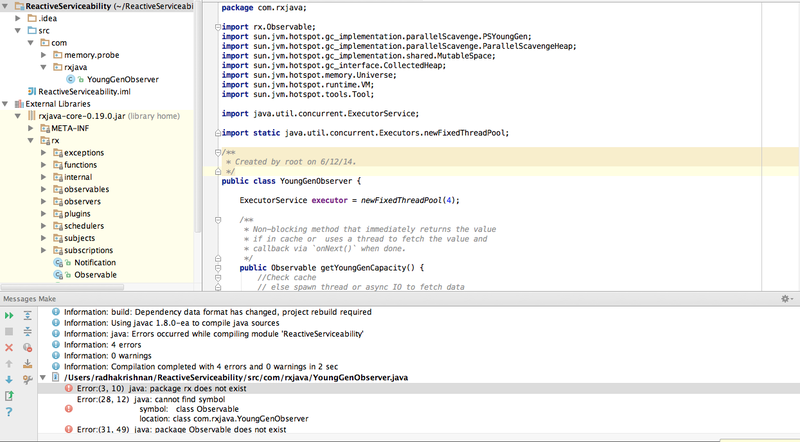 I have a class 'Observable' in a package 'rx'. The JAR is added as a dependency but still there is an error. It seems conformant to me. Please try "rebuild project". Does it compile without errors?